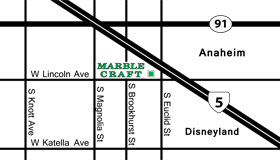 Marble Craft is a family-owned company with a team of highly experienced professionals dedicated to your custom fabrication and installation services. We are based in Southern California/Orange County area, offering full service stone sourcing to builders, contractors, architects, and homeowners, while guaranteeing best in class service, education, and resources for all their natural stone needs. With more than 30 years of experience, you can be assured of our workmanship superior quality. 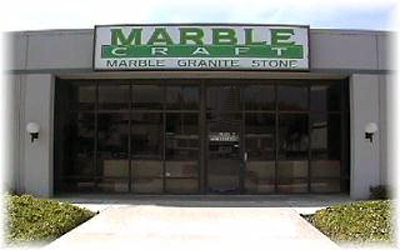 Marble Craft company is a fully licensed, bonded, and insured business, known for its precise work and professional installation, fast turnaround time, great communication, and competitive pricing. The heart of our business is our in-house fabrication facility and highly experienced staff. Our talented fabricators and installers take pride in producing premiere quality custom products. Our uncompromised level of attention to detail secures the value of your investment. The entire Marble Craft Team is committed to helping you achieve the timeless beauty that you desire from your custom project. the USA, and Scandinavia to name but a few.